Deciduous or evergreen. Modern hybrids grow 1-6 ft. tall, with flowers 3 – 8 in. across. Early mid season, late varieties insure loom from may to September or October, (in mild climates). 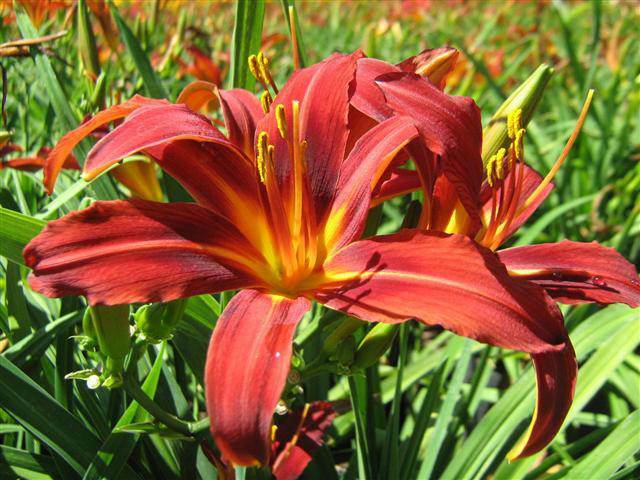 Some varieties bloom twice a year, some bloom in the evening flowers. Single, semi double, or double. ; vary in shape from broad petaled to narrow and twisted.